With Issue Matrix additional information and fields about each sub-task is available without the need for opening it individually. 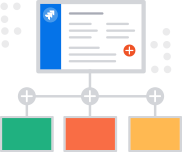 Sub-tasks can be broken down by type and add panel names that are user-friendly and easy-to-configure, thus helping individual teams to better visualize the tasks they are responsible for. 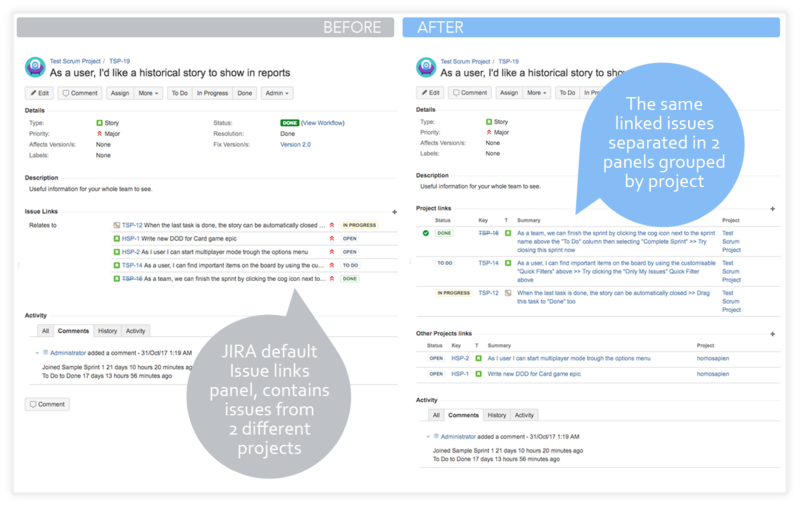 The Issue Matrix works easily in Jira’s Agile environment. 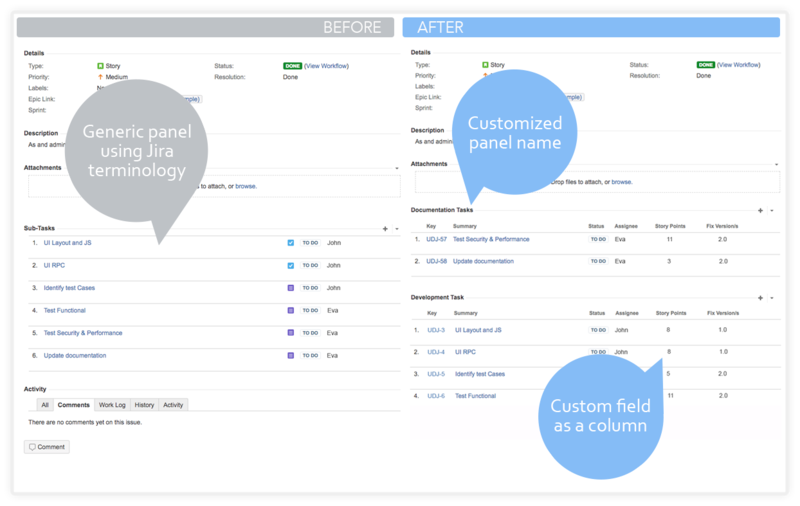 With the Issue Matrix, you can improve how the screen is visualized by adding additional columns and information. All of this data is available on a single screen and you don’t need to open each field individually. 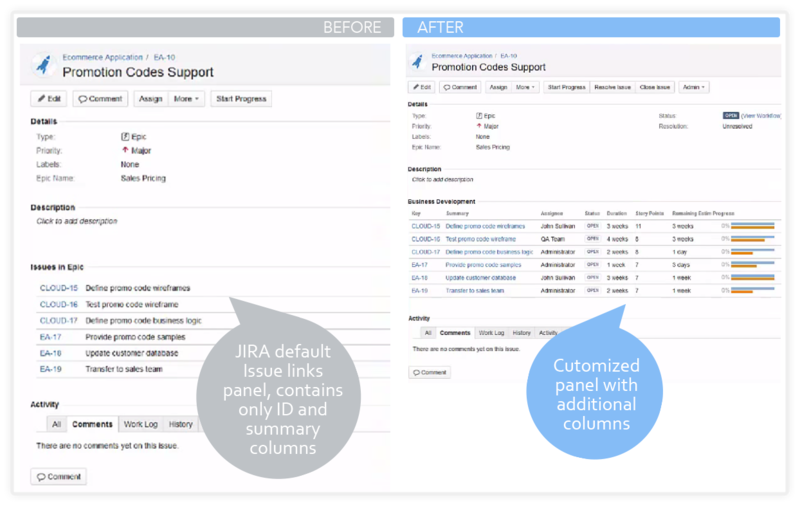 It is very easy to configure the Issue Matrix in Jira’s administration! 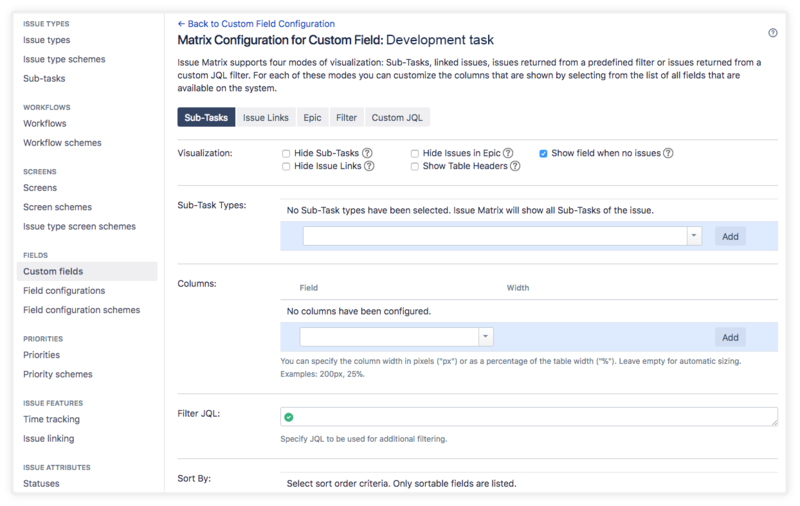 The Issue Matrix is implemented as a Custom Field – create a Custom Field of the Issue Matrix type, apply how you would like this field to be displayed, and then set the appropriate configuration. 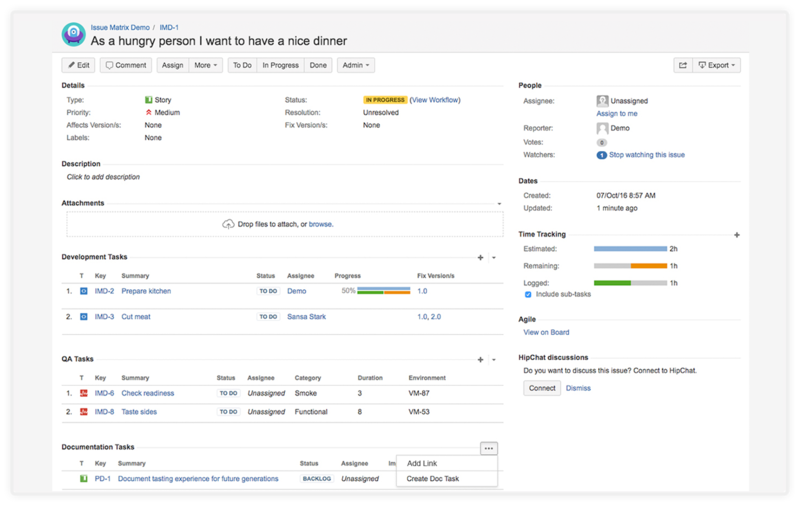 All sub-tasks defined in your system are available to use, along with most columns available for display throughout Jira. 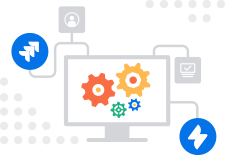 System field examples: Reporter, Assignee, Component, Fix version, Status etc. Custom field examples: Customer request type, Multi-group picker, Text field etc. 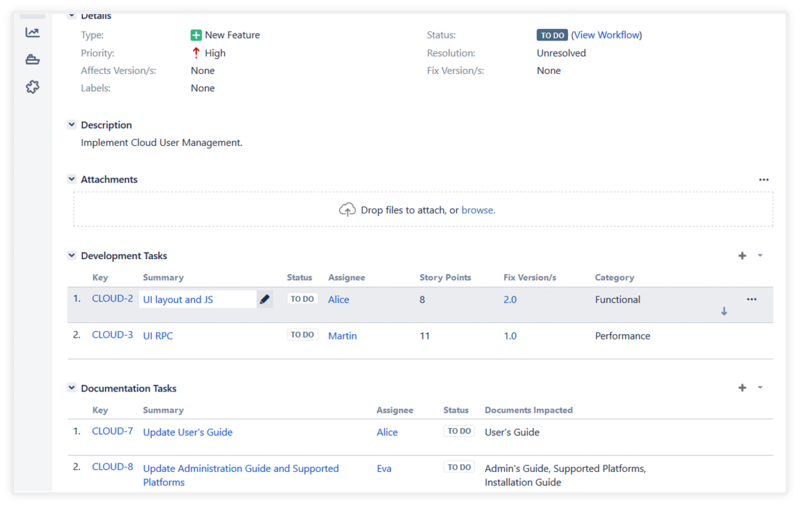 This extension can be used in the Custom JQL mode and in the JQL filter configuration option in the Sub-Tasks, Issue Links and Epic modes. Issue Matrix allows you to easily create relations between objects in an error-free way. 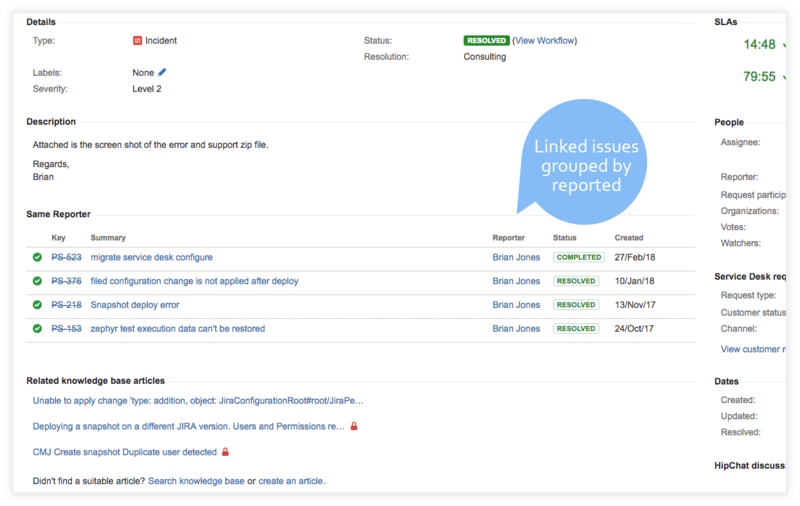 You can configure actions that create and link issues with predefined Project, Issue Type etc., configuration. Panels have separate semantically related actions. This feature of Issue Matrix allows you to visualize issues which are not directly linked but share a common context. This capability allows issues to be contextually linked based on a system (e.g. same reporter) or custom (e.g. labels) value field.